This is the book of the year, and if Hollywood doesn’t pick this story up and make a beautiful movie out of it, I will be very, very surprised. August Pullman is a little boy living a hugely complicated life. Ten years old, he was born with extensive facial deformities which numerous surgeries have somewhat improved, but failed to fully correct. His loving family have surrounded him in a protective cocoon until now, at age ten, they think it is time for Auggie to go to school. Thus he begins life in the middle school at Beecher Prep. The novel follows his journey as he tries to fit in as an ordinary kid, and find acceptance from his peers. Predictably, this is no easy task but what is unpredictable is the beauty of Palacio’s narrative, such as at the end of Auggie’s first traumatic day: “(Mum) said soft words that I know were meant to help me, but words can’t change my face”. Cleverly structured and narrated from various perspectives: Auggie, his older sister Via and their acquaintances; the reader gains insight not only into August’s emotional journey, but also that of those sourrounding him. By choosing children and teenagers as the only narrators, Palacio is able to describe human reaction to disfigurement with honesty and clarity, often with brilliant humour. This debut novel is funny, frank and incredibly heart-warming with an ending that moved me to tears. 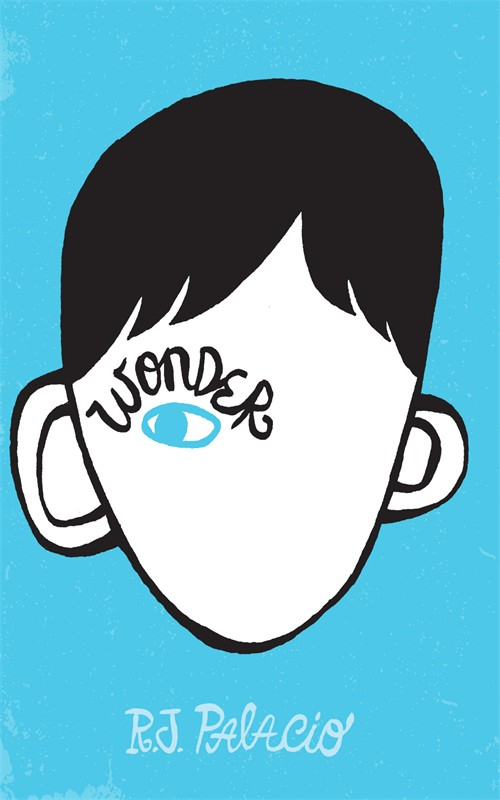 Whilst suitable for older children, I think most adults will embrace Wonder and like me, will find it very difficult to put down.